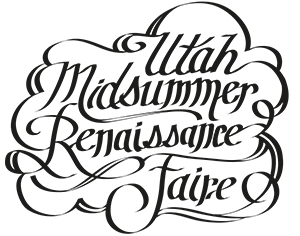 The Utah Midsummer Renaissance Faire is located in Cedar City's Main Street Park. The entrance is 200 North Main Street. If arriving from outside the city, use I-15 exit 59 and drive east on 200 N. for one mile. The park will be on the north side of the street. Curbside parking is limited and reserved for visitors. Additional parking may be available in nearby streets and lots. Vendors will have a specified parking lot. Thank you to our sponsors who help make the faire possible every year! For information about becoming a sponsor, email kedronvale@hotmail.com.